Do you have a story to tell, from your own life, your research, or your wild imagination? This weekend course offers a supportive environment with two authors whose work addresses LGBT+ lives, experiences and histories. We will look at what makes a queer story, what we have in common, and what might be unique to each of us. We will also explore how to comb through history for untold tales. Through workshops and dedicated writing time, you will have a chance to create new material and/or develop existing work. This course is aimed at people who identify as LGBTQI (lesbian, gay, bisexual, queer, trans, non-binary, genderqueer or intersex), and is open to emerging writers as well as to those with more experience. This course is suitable for writers of poetry and prose alike. Helen Sandler is a writer and editor who lives in mid Wales. 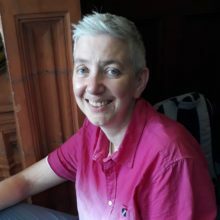 She has published two novels, Big Deal (Virgin Sapphire, 1999) and The Touch Typist (Diva Books, 2002), and edited award-winning lesbian short-story anthologies for Diva Books. Her poems and articles have appeared in various magazines and anthologies, most recently in Planet journal and a Seren collection on Snowdonia. Helen has worked part-time in publishing for more than twenty years and runs Tollington Press. She hosts Aberration, the LGBT+ arts night in Aberystwyth, and teaches creative writing in the community. Jonathan Kemp writes fiction and non-fiction and teaches creative writing at Middlesex University and Birkbeck. He is the author of two novels, London Triptych (2010), which won the 2011 Authors’ Club Best First Novel Award, and Ghosting (2015), and the short-story collection, Twentysix (2011, all published by Myriad Editions). 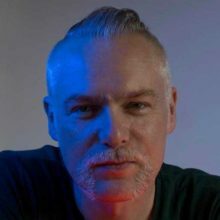 His fiction has also appeared in Chroma, Polari, Brand Magazine, and Best Gay Short Stories 2010. Non-fiction works include, The Penetrated Male (2012), and Homotopia? : Gay Identity, Sameness and the Politics of Desire (2015, both Punctum Books).